The devastation of the French wine industry by Phylloxera in the 1860s is a central event in the history of wine that affected what was already a global business. Charles Joseph Minard, a key figure in the history of information graphics, offered snapshots of that business in at least two of his works. Minard is most famous for his depiction of the losses that Napoleon's army suffered in its invasion of Russia, a chart hailed as a landmark by observers as distinguished as Edward Tufte. But for the most part Minard focused on the analysis of trade and transportation; in one chart, for example, he showed the almost immediate effect of the American Civil War on European cotton imports. 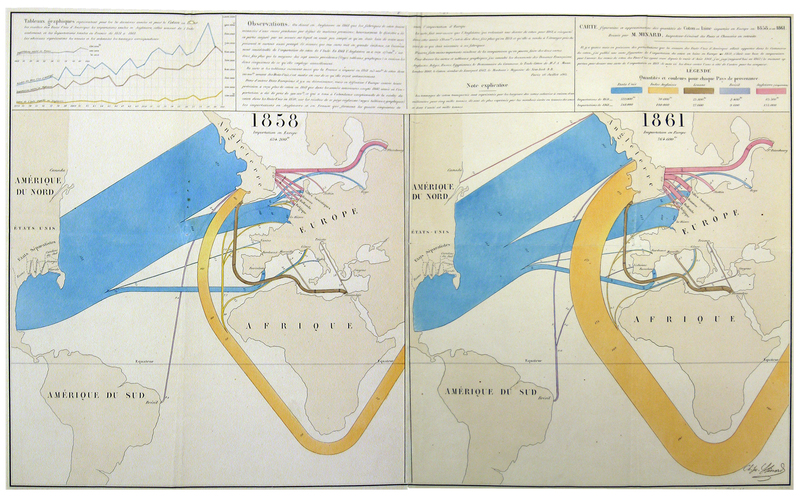 In two of the 71 graphics he produced over the course of his long career, Minard analyzed the French wine trade. One shows the French exports in 1864 (see no. 49 in this list of his work); the other depicts the intra-French wine trade, in which pink reflects railroad transportation and green movement of wine along rivers. Paris dominates, of course, and Bordeaux and the southwest produce far more wine than any region and seem to outpace Burgundy by a wide margin. 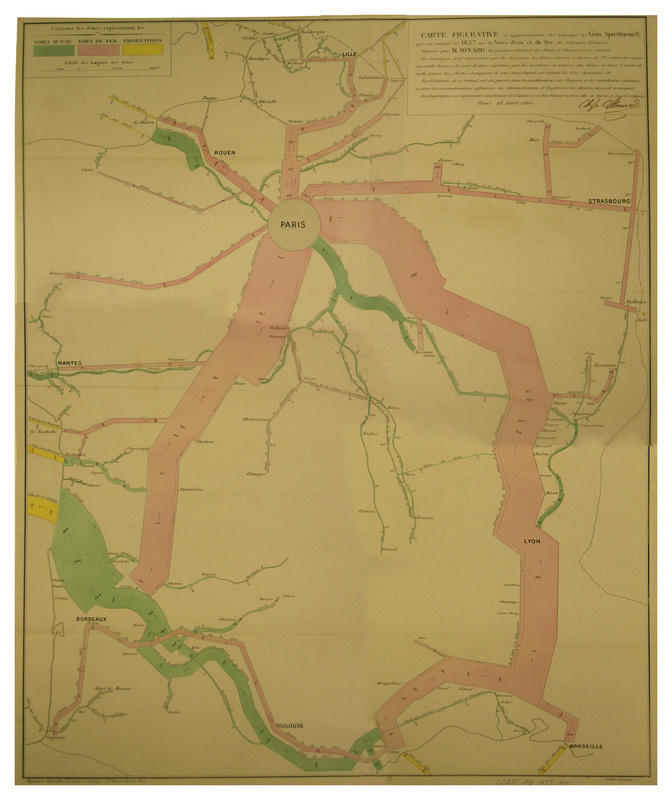 The map was made in 1860, just a few years before the discovery of phylloxera, the pest that devastated the French wine industry in the years after 1875. The concentration of the French wine industry around Bordeaux suggests the immense opportunity that the crisis offered producers in La Rioja, who seized it aggressively. Minard did not survive to chart that development; he died at age 89 in 1870 in Bordeaux, to which he had fled in fear that the Prussians would invade Paris.